Most regulars know our Ella has special needs (was told at a review recently that she's considered 'severe' which has come as a blow and still getting my head around). 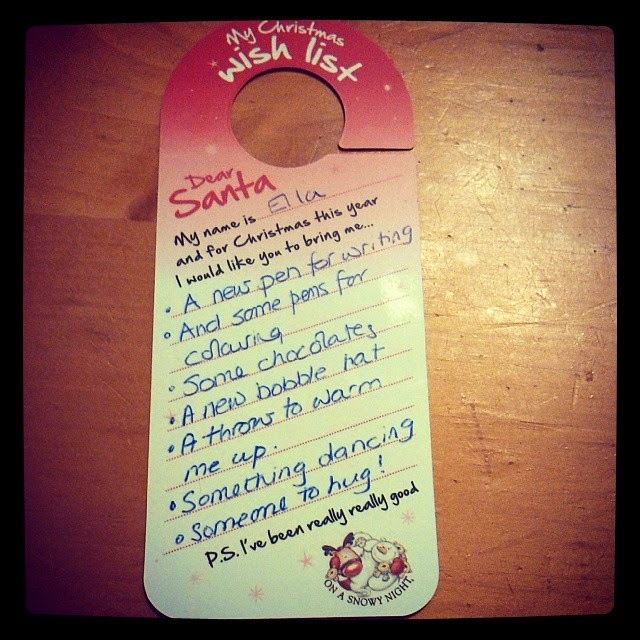 I asked her what she would like Father Christmas to bring and this is her list ....... it's what all lists should be made of, she makes my heart melt! That is so lovely, my heart melted too. How sweet. What a good kid. Something dancing? Does she want a Dancing Groot? Alex - I love, love that idea! !